In an earlier blog we covered the different cloud platform options healthcare organizations have and the differences between them, but a question we get a lot is: how much of my company’s IT do I have to put into the cloud? The answer is, whatever you feel comfortable with! Some businesses only put their email and maybe a couple applications on the cloud, and they feel like they’re getting their money’s worth. 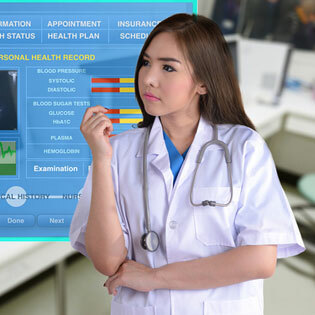 Other businesses put their entire IT on a cloud server and let their cloud service provider’s team of engineers monitor and upgrade their infrastructure so the healthcare people can focus on healthcare. As InfoWorld puts it, in the world of cloud adopters there are lions, zebras and groundhogs. Lions want to take full advantage of the cloud to improve their business and evolve it into a fully modernized operation. Zebras want to use the cloud simply because they know it’s a good tool to save money and prevent having out-of-date software and applications. Groundhogs don’t want to use the cloud and hide away from it. It’s good to be a lion or zebra, but don’t be a groundhog! If you want to just dip your toe in the water, make sure to find a cloud provider that allows you to pay as you go. One of the main benefits of cloud adoption is the cost savings. Once you are comfortable that cloud technology is beneficial to your business and want to take the next step, find a trusted cloud provider that has a lot of experience in the healthcare industry – and ask for testimonials! Not only does a healthcare business have to research any prospective cloud provider, but any good cloud provider will have to research a prospective client. The relationship between a cloud provider and a healthcare organization is complex, and both parties have to know that they are a good fit for each other. Throughout the initial interviews, the cloud provider will ask for detailed information on the hospital’s unique IT concerns and their bottom-line. The cloud provider will then perform a Cloud Readiness Assessment to gain insight on their IT security and network health. After this step, the cloud provider calculates how much savings the hospital should expect to see, which will then lead to the final presentations and decision. When looking for a cloud service provider, no matter how much of your IT you want to initially invest in the cloud, make sure they have a thorough process like this and that they are proven in the healthcare industry. If you find a provider that immediately wants your business without learning anything about your IT infrastructure or network problems, stay away – they are either novices or just looking to cash your checks. TOSS C3 is a trusted cloud service provider with a wealth of experience in the healthcare world. Learn more about us here, and call us anytime at 1-888-884-8677!